In the hope of hiding from her past, Nancy Rush became nursing supervisor at an out-of-the-way lumber camp in New Brunswick. She soon found the serenity she had been looking for, but she was caught unaware when she found herself falling in love with Ralph Parton, the doctor who ran the hospital. Her reaction when she discovered his love for her was not one of happiness, but of dismay; her past, she felt, could do nothing but hurt him. To complicate matters, the wealthy Walker family was making life difficult both on a professional and personal level. Because tight-fisted Gilbert Walker, head of the family, refused to spend more money on the hospital, Nancy and Ralph were forced to work without adequate facilities — a lack which sooner or later would result in tragedy. When the tragedy came, it was quickly followed by a near-tragedy involving Gilbert Walker’s son, John. John, handsome, reckless, and self-centered, wanted Nancy for himself. And if revealing her life in Montreal was the means to his end, he had no scruples about threatening her with it. Meanwhile, Lois Walker, John’s sister, was using subtler but nevertheless efficient tactics to do everything she could to snare Dr. Ralph Parton. 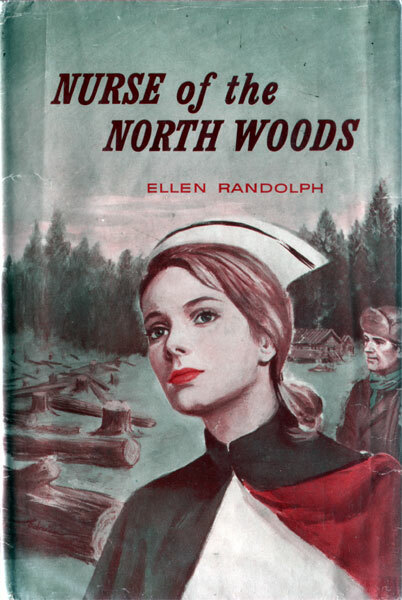 The tiny village and the hard life of the lumberjacks add to the stark background of Nancy’s setting as she learns that everyone, in his own way, must face up to his situation. And her way, it turns out, not only overcomes the darkness of the past, but promises a very bright future indeed.